GreenCon is the premier, annual green building conference & expo of USGBC Central PA. Better buildings happen when we innovate, collaborate, and learn together. 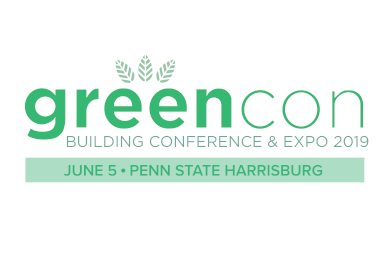 GreenCon is the flagship green building conference and expo of central Pennsylvania. For GreenCon 2019, we’ll be featuring a keynote by Scot Horst, the founder and previously the CEO of Arc Skoru Inc., a technology company established to build Arc, a state-of-the-art digital platform. Arc allows any project – whether a space, single building, community or an entire city – to measure improvements and benchmark against itself and projects around it. GreenCon will also feature breakout sessions and a diverse expo hall.